For anyone that is running aftermarket electronics, be it Audio equipment, extra lighting, winch or all of the above. 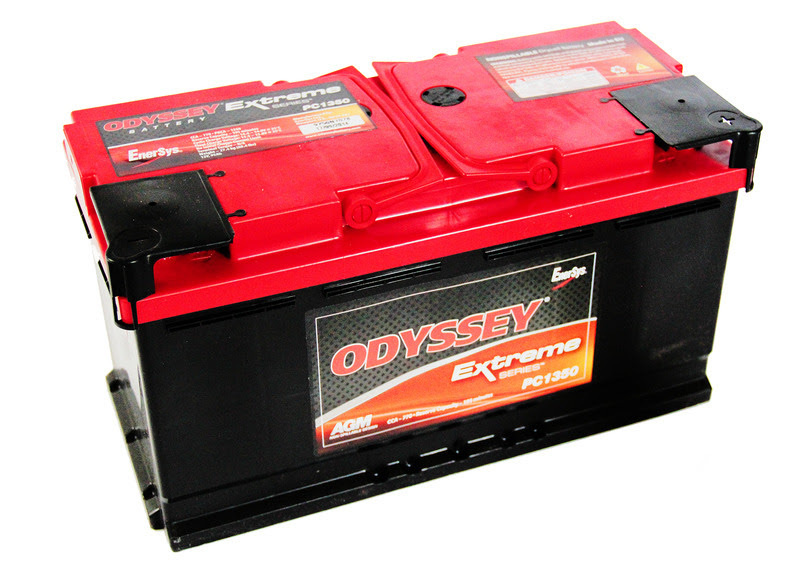 Odyssey can say proudly they are the Best batteries on the Market. I have been working my Odyssey PC1350 for about a year now with Zero hiccups. Not one slow start or loss of power. This battery packs a lot of power. With the Pure Virgin Lead plates, Odyssey produces 15% more useable surface then spiral wound batteries. Why pick Odyssey, That’s Simple. Limited 2-year full replacement warranty — not pro rata. Now when it comes to buying the Best Battery on the market, you are going to pay a little more for it. Why spend on the money on electronic upgrades and limit your power with an inferior battery? Yes I can pick up a battery for $100 at Wal-mart or Sams Club, but it will not perform or last as long as my Odyssey. I have been running two Amps, extra LED lighting, 2x phone chargers and Radar Detector. With Zero issues. When installed correctly and powered correctly you won’t see issues either. Odyssey Batteries are well worth the extra money you will spend. With a little time and research in Google. I’m sure you can find one on sale and not end up spending too much more. The peace of mind knowing you have the best and it performs just like it should. Should be worth that extra cost. Don’t buy junk and waste your time and money. Get Odyssey…. Now to fit it in my 2010 Dodge Charger. I did have to modify my battery mount just a little. For more info on that feel free to shoot me an E-mail and I help with the install.